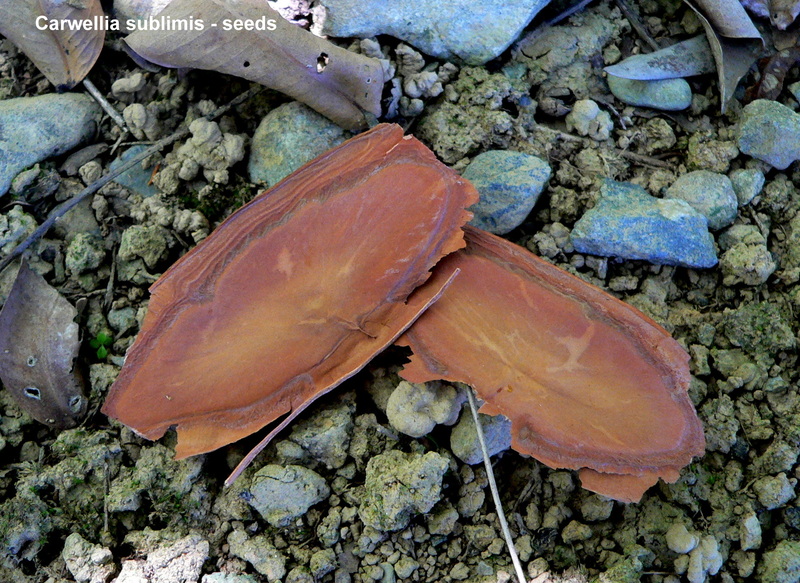 Common names: Northern Silky Oak / Bull Oak. Derivation: Cardwellia after Edward Cardwell, Secretary for the Colonies (1813-86) sublimis = lofty; a reference to the tall stature of these rainforest trees. This was a much sought after timber tree, hence the vernacular names referring to the “oak-like” quality of the wood. While most Australians think of Banksias, Hakeas and Grevilleas when they imagine Proteaceae species, those of us blessed with living in coastal tropical North Queensland think of a host of much more primitive species. Plants that evolved before the break up of Gondwana that grew in the depths of moist forest. 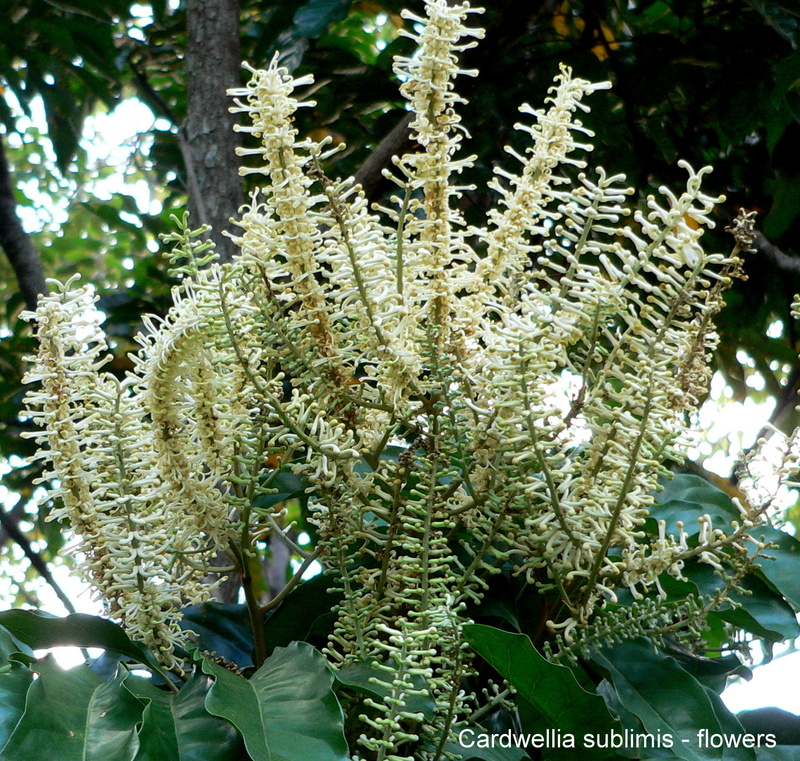 Cardwellia sublimis is a good example, growing as an emergent tree it regularly exceeds 35 meters with moderate buttresses. 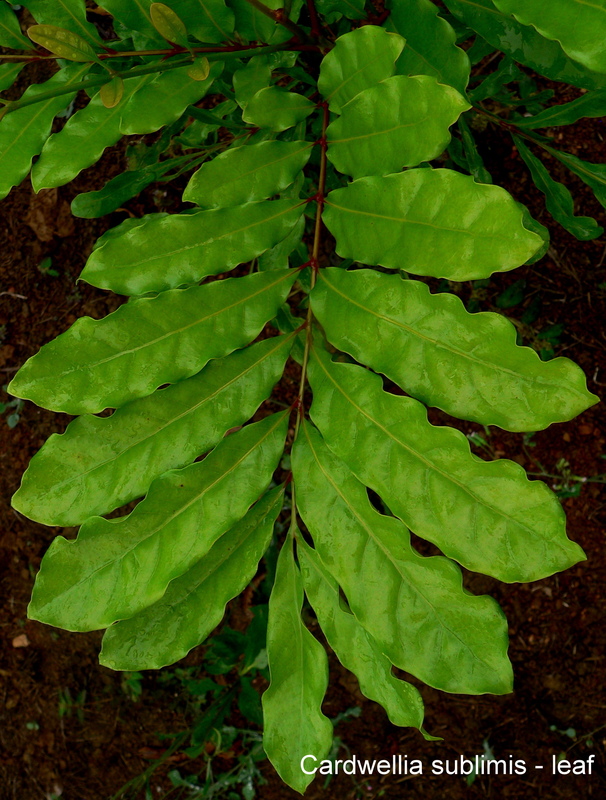 Like many of its cousins the leaves are variable. They are compound, alternating, with opposite or alternating leaflets. There can be 6 – 20 leaflets, which often have a wavy, intire margin. This is the first posting in the category of Daintree Plants which Allen will write especially for plant lovers. A very interesting post, thanks. How far south would that tree be found? Also – you said how high the tree was and that the flowers are at the top – so how did you get that great photo of the flowers? A very tall ladder?? Old plant man here looking forward to more!